Use the Website to engage in any other conduct that restricts or inhibits anyone’s use or enjoyment of the Website, or which, as determined by us, may harm Lawrence Hearing Aid Center or users of the Website or expose them to liability. This Website and all of its contents, features and functionality (including but not limited to the information, software, text, displays, images, video and audio, and the design, selection and arrangement thereof) are the property of Lawrence Hearing Aid Center and Starkey and its licensors and other suppliers of such material and are protected by U.S. and international copyright, trademark and other intellectual property rights laws. 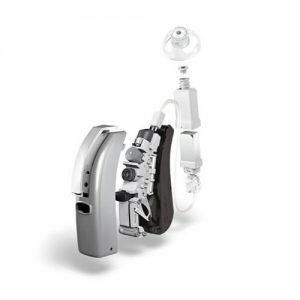 The Lawrence Hearing Aid Center name and all related names, logos, product and service names, designs and slogans are trademarks of Lawrence Hearing Aid Center or its affiliates or licensors. You must not use such marks without the prior written permission of Lawrence Hearing Aid Center or its affiliates or licensors. The information presented on this Website is not intended to be medical advice and should not be relied upon as such. If you suspect a hearing problem, Lawrence Hearing Aid Center strongly urges you to consult with a qualified physician or hearing professional. YOUR USE OF THE WEBSITE, ITS CONTENT AND ANY SERVICES OR ITEMS OBTAINED THROUGH THE WEBSITE IS AT YOUR OWN RISK. THE WEBSITE, ITS CONTENT AND ANY SERVICES OR ITEMS OBTAINED THROUGH THE WEBSITE ARE PROVIDED ON AN “AS IS” AND “AS AVAILABLE” BASIS, WITHOUT ANY WARRANTIES OF ANY KIND, EITHER EXPRESS OR IMPLIED. 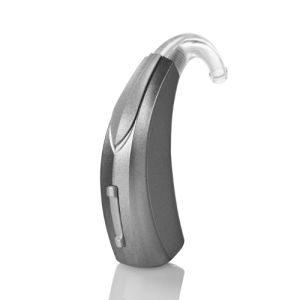 NEITHER Lawrence Hearing Aid Center NOR ANY PERSON ASSOCIATED WITH Lawrence Hearing Aid Center MAKES ANY WARRANTY OR REPRESENTATION WITH RESPECT TO THE COMPLETENESS, SECURITY, RELIABILITY, QUALITY, ACCURACY OR AVAILABILITY OF THE WEBSITE. WITHOUT LIMITING THE FOREGOING, NEITHER Lawrence Hearing Aid Center NOR ANYONE ASSOCIATED WITH Lawrence Hearing Aid Center REPRESENTS OR WARRANTS THAT THE WEBSITE, ITS CONTENT OR ANY SERVICES OR ITEMS OBTAINED THROUGH THE WEBSITE WILL BE ACCURATE, RELIABLE, ERROR-FREE OR UNINTERRUPTED, THAT DEFECTS WILL BE CORRECTED, THAT OUR SITE OR THE SERVER THAT MAKES IT AVAILABLE ARE FREE OF VIRUSES OR OTHER HARMFUL COMPONENTS OR THAT THE WEBSITE OR ANY SERVICES OR ITEMS OBTAINED THROUGH THE WEBSITE WILL OTHERWISE MEET YOUR NEEDS OR EXPECTATIONS. Lawrence Hearing Aid Center HEREBY DISCLAIMS ALL WARRANTIES OF ANY KIND, WHETHER EXPRESS OR IMPLIED, STATUTORY OR OTHERWISE, INCLUDING BUT NOT LIMITED TO ANY WARRANTIES OF MERCHANTABILITY, NON-INFRINGEMENT, AND FITNESS FOR PARTICULAR PURPOSE. In no event will Lawrence Hearing Aid Center, it’s affiliates or their licensors, service providers, employees, agents, officers or directors be liable for damages of any kind, under any legal theory, arising out of or in connection with your use, or inability to use, the Website, any websites linked to it, any content on the Website or such other websites or any services or items obtained through the Website or such other websites, including any direct, indirect, special, incidental, consequential or punitive damages, including but not limited to, personal injury, pain and suffering, emotional distress, loss of revenue, loss of profits, loss of business or anticipated savings, loss of use, loss of goodwill, loss of data and whether caused by tort (including negligence), breach of contract or otherwise, even if foreseeable. Information that users provide through optional, voluntary submissions.This information may include personal information, such as your name, phone number, email address, state and zip code. We collect this information to respond to requests from users, customize our features for individual visitors who are Lawrence Hearing Aid Center customers and to notify customers about updates to our site and products or services. Information that we collect automatically as you navigate the Website.This information may include usage details, IP addresses, and information collected through tracking technologies such as cookies and web beacons. Information Lawrence Hearing Aid Center gathers through aggregated tracking is used to determine which areas of our sites users like and don’t like based on traffic to those areas. We do not track what individual users read, but rather how well each page performs overall. We collect this information in order to determine how to create the best experience for our customers. We may track search terms entered in our Search function as one of many measures of what interests our users, but this tracking is never associated with an individual user. Chat sessions.If you use Lawrence Hearing Aid Center’s online chat capability with our Customer Service group, the chat information may be stored for quality control purposes. Lawrence Hearing Aid Center strictly protects the security of your personal information and honors your choices for its intended use. We disclose your information to no third parties unless it is specifically stated otherwise. We may use third party contractors to help us operate our business and the sites or administer activities on our behalf, and may share your personal information with these contractors for those limited purposes. We use your information solely to fulfill services, transact a purchase, and help us improve our website and product offering to you. Notwithstanding any other provision to the contrary, Lawrence Hearing Aid Center reserves the right to cooperate with local, state and federal officials in any investigation relating to any purported illegal activity(ies) and, when required by law, regulation, legal process or government requests, to disclose any personal information furnished by you or collected by Lawrence Hearing Aid Center to law enforcement authorities or other relevant or related third parties. California law requires us to let you know how we respond to web browser “Do Not Track” signals. Our Website does not currently support “Do Not Track” codes. That is, Lawrence Hearing Aid Center does not currently respond to or take any action with regard to “Do Not Track” requests. Your information may be stored and processed in the United States or any other country in which Lawrence Hearing Aid Center or its affiliates, subsidiaries or agents maintain facilities. Your information may be processed in countries with different data protection standards than your country of residence. By using this site and providing Lawrence Hearing Aid Center with your personal information, you agree that you have read this policy and consent to any transfer, processing or storing of your information outside of your country of residence. The Lawrence Hearing Aid Center Websites may contain links to other sites that are not under our control. These Websites have their own policies regarding privacy. You should review those policies when visiting the Websites. Lawrence Hearing Aid Center has no responsibility for linked websites and is not responsible for the content of any such site. Lawrence Hearing Aid Center provides these links solely for the convenience and information of our visitors. Lawrence Hearing Aid Center operates secure data networks protected by industry standard firewall and password protection systems. Our security and privacy policies are periodically reviewed and enhanced as necessary and only authorized individuals have access to the information provided by our customers. Unfortunately, the transmission of information via the Internet is not completely secure. Although we do our best to protect your personal information, we cannot guarantee the security of your personal information transmitted to our Website. Any transmission of personal information is at your own risk.